Deer are always a hungry creature. Their diet is really contained with various fruits and vegetables. Deer is categorized as herbivores that means, different vegetables are the major portion of the diet of deer. According to the Oregon State University Extension Office, deer eat more than 500 different types of plants. In this article, I will be telling you about the different vegetable that you grow in your land, and deer love to eat and destroy your beautiful crop. Are you going to feed a deer?…well carrots are the favourite vegetable of deer. As we know, deer are herbivores so they love to feed on various fruits and vegetables. Deer can digest a wide variety of plant and vegetable materials. People feed them peeled baby carrots and cooked one as well. Carrot is a root vegetable and found in few colours, generally orange, purple, red and yellow. Deer will love to dig the carrot from your garden and eat that. You may love cultivating the carrots, but if your yard is at the deer dominated area, it is going to be difficult avoiding them from eating your crop. If a group of deer enters in your property, it may ruin all of your carrot plants and can eat them. Deer love carrots. As it is a nutritious food for them, contains several vitamins and minerals which provide energy to deer for a long time. A garden full with carrots will definitely attract the deer. Deer love to feed those plants which are smelly and strong tasting. 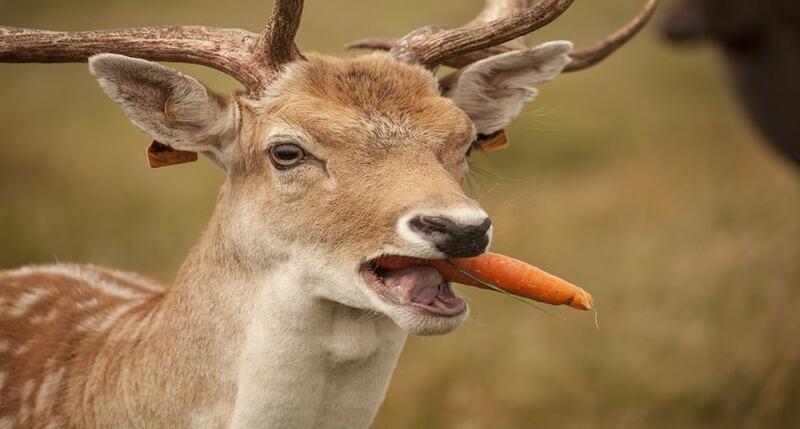 Carrot is tasty, nutritious and less smelly, so deer will always eat carrots. They are truly remarkable creatures; deer dig until carrot comes out, it eats the carrot along with the leaf and carrot plant. I don’t think that you will be appreciating if the deer eat your tomatoes in the yard. When deer are Hungry, they will eat almost any foliage they get around. Tomatoes always attract the deer to your property. Deer love to eat tomatoes and new green leaves on the tomato plants. Deer will eat the ripe or squeeze tomatoes as well. The tomatoes grow on practically all soils from light sandy to heavy clay. It is an easy and simple crop for farmers. In America, there is bumper production of tomatoes, but there are so many deer. If your tomatoes are not fully grown, that is not a bar for deer, they will eat the green tomatoes without any extra efforts. Deer will eat the tomatoes off the vine. If you are going to grow the tomatoes on your property, you have to deter the deer from eating the tomatoes. Deer are one of the most observed animals in North America and people love feeding them. Tomatoes grow a vine and Deer cause damage to the whole plant, from the stems to the leaves, sometimes with the roots. 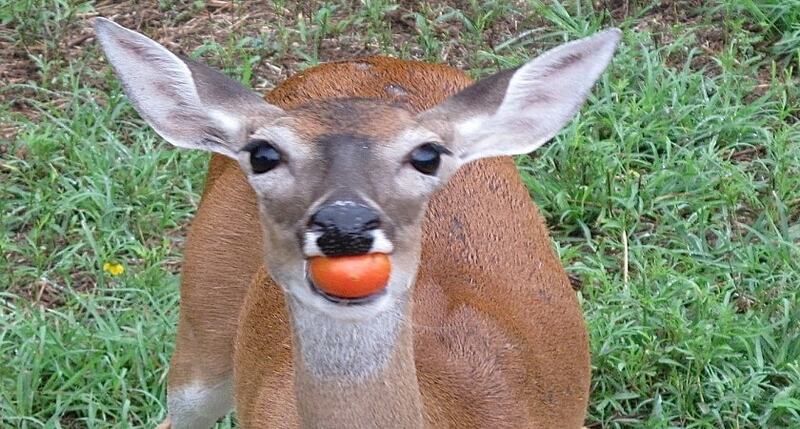 White-tailed deer love to eat tomatoes. Deer will definitely eat your tomatoes if you don’t take precautions. A hungry deer is not easy to stop eating the tomato plants. If a deer is hungry, it can easily jump a 6-foot-tall fence without any hesitation. If you are going to install a fence, I will suggest you keep the fence high. Another way is installing individual cages made of chicken wire or mesh around each tomato plant. But it may take a lot of time if you have a large number of tomato plants. You can also confuse the deer with the sense of smell. As deer rely on smell to find their food source, you may use human scented items like old T-shirts, clumps of hair or old shoes. You can also string up scented soaps around the border of your garden; it will work as a deer repellent. You may keep a dog have it urinate around the border of your garden to confuse the deer from the smell. You may mix a few eggs and water and spray the mixture around the garden, which can also be a strong deterrent toward most deer. Deer are always hungry. They tend to feed almost every kind of vegetable. Cucumber is considered as deer resistant vegetable. 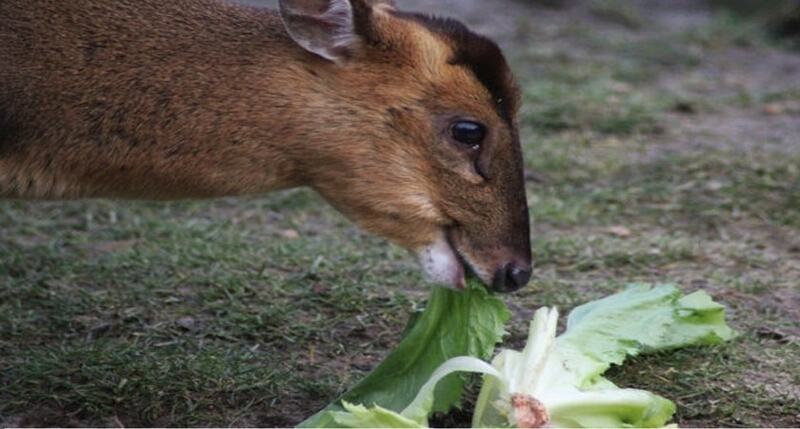 Deer usually avoid eating cucumber. If your land is in deer populated area, growing cucumbers is a really good idea. Cucumber is a thorny vegetable which deer usually avoid to eat. Deer don’t like eating cucumber but they may eat the plants and leaves. Do deer eat tomato or cucumber?….well, If you have tomatoes and cucumbers grown in your garden, they will eat all of your tomatoes without any doubt. Deer really cannot eat cucumber. Deer don’t really like eating cucumber vines and leave them the same. Basil is an aromatic plant of the mint family. It is also called great basil, European plant which grows in hedges and scrubs. As like mint, Basil has a strong fragrance and it is a really great deer repellent. Deer cannot eat basil. Instead of fences, sprays, or repellents, you can grow the deer resistance plants in your garden. It is a really effective method in order to halt deer from eating your harvest. Growing the sweet basil is also helpful to resist deer, they don’t eat sweet basil. Deer don’t eat basil plant and leaves. Along with the basil, there is Greek oregano, rosemary, sage, and thyme. These are amazing plants with a strong smell and deer keep distance from the herb and plants with the strong smell and essential oils. If you are growing basil in your yard along with tomatoes or some other deer edible vegetable, there is a very less possibility that deer will eat your tomato or vegetables. Kale is a green leafy vegetable. It is a plant of the cabbage family and these really are not deer resistant. Deer will eat the kale you grow in your garden. If you have ornamental kale and cabbage, deer just won’t feed on them. The vegetables of the cabbage family are not deer resistant, including broccoli, cauliflower, Brussels sprouts, and kale. These are the vegetable which deer will eat along with the plant. You may be worried that something is eating the cabbage and the cabbage plants in your garden. Well, it definitely must be deer. 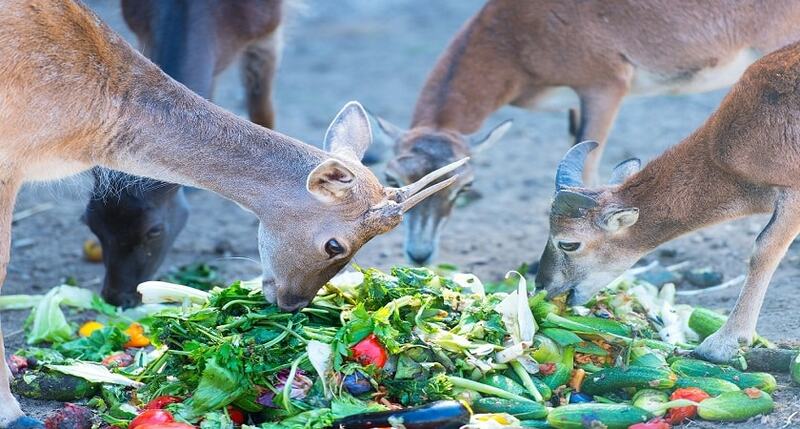 Deer love to eat cabbage. Deer will eat pretty much anything including the cabbage. If you want to confirm then you may check the deer tracks in your property to make sure if it is deer. A hungry deer can easily climb up the fence if it is not on too much height. Rabbits can also eat the cabbage but deer will eat and ruin the cabbage plants in a large number. Deer are messy eaters and can destroy your garden. They will eat the cabbage and leave the small pieces around the plants. Proper fencing and use of the deer repellent is suggested. You may also focus on growing deer resisting plants. If you want to grow cabbage only, then ornamental cabbage is a good idea. Deer avoid eating ornamental cabbage and plants. Deer are ultimate grazers and they always graze nearly anything they find. 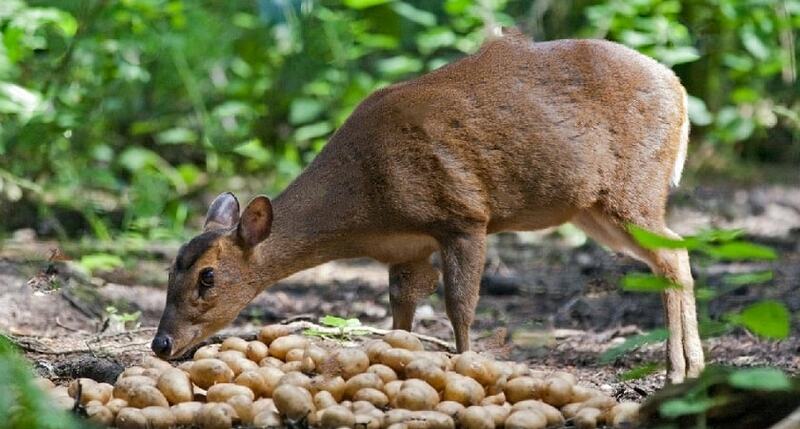 Deer generally don’t prefer eating potatoes, but if there is nothing else to feed around, they may eat them. Potato leaves attract the deer but they don’t feed on potato leaves as they are toxic. Some people feed potato chips to deer, they actually like potato chips but feeding deer is dangerous. Deer avoid eating raw potatoes because they don’t like them. Using fence is always the best option to avoid deer entering to your property. Deer resistant plants will be helpful if you don’t put fencing. If you have grown tomatoes and potatoes in your garden, the focus of the deer will be on eating the tomato crop. Do Deer Eat Sweet potatoes? Sweet potato is a starchy and sweet –tasting root vegetable. For deer, it is like sweet candy. Deer love to eat sweet potatoes. These are used as deer bait popularly in the USA, especially in North Carolina. Baiting is illegal but many hunters do this. They attract deer through sweet potatoes and have hunted them down. If you have a property with grown sweet potatoes, deer will always tend to eat them. They love eating the vine of sweet potatoes as it’s not deer resisting. If you grow sweet potatoes in deer dominated area, you have to take measures to protect sweet potato plants from deer. Deer feed on sweet potato vines, no matter they are ornamental or grown for the tubers, and you will have the deer eating them. Deer are really destroyers and problematic. They may damage the vines extensively and frequently if you avoid fencing and use of repellent around the border of your yard or garden. 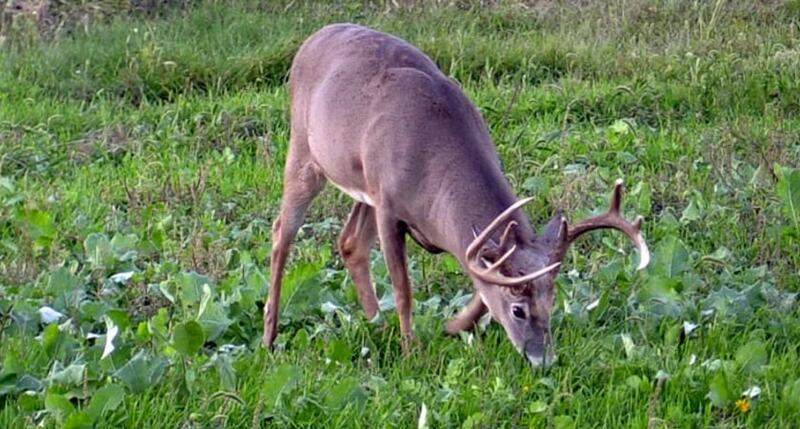 Deer have a vast diet because deer need to eat approximately 8 lbs of food in order to maintain a healthy girth. 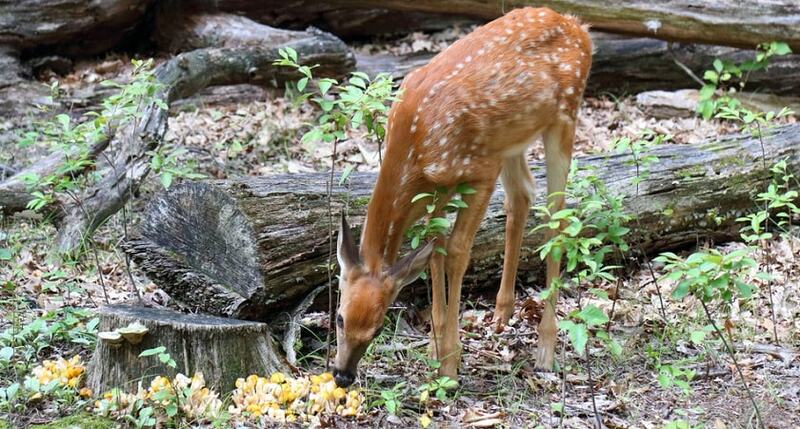 Deer eat mushrooms and wild mushrooms without any permission. They may eat even some which are toxic to humans. There are so many plants and flowers that they eat. There are many species of mushrooms but deer can’t eat all of them. Some of the wild species of the mushroom are also can be fed by deer. Deer will eat just about anything with nutrition. It is not always possible to get easy meal and food of the choice. They have to rely on the available plants and vegetables around them. For hunters, the mushroom is good bait. They attract deer through the mushrooms. Mushrooms are actually preferable food of deer. Morel mushrooms are kind of wild mushroom and deer and turkey eat the morel mushrooms often. Have you feed deer some vegetable or seen him eating the leaves?…. You must have especially if you are in deer dominated area. Share your encounters and incidents with us in the comment section. Help us with your feedback about the article.